PNNL scientists Susannah Burrows (left) & Manish Shrivastava (right) have been selected to receive 2018 Early Career Research Program awards from the U.S. Department of Energy. 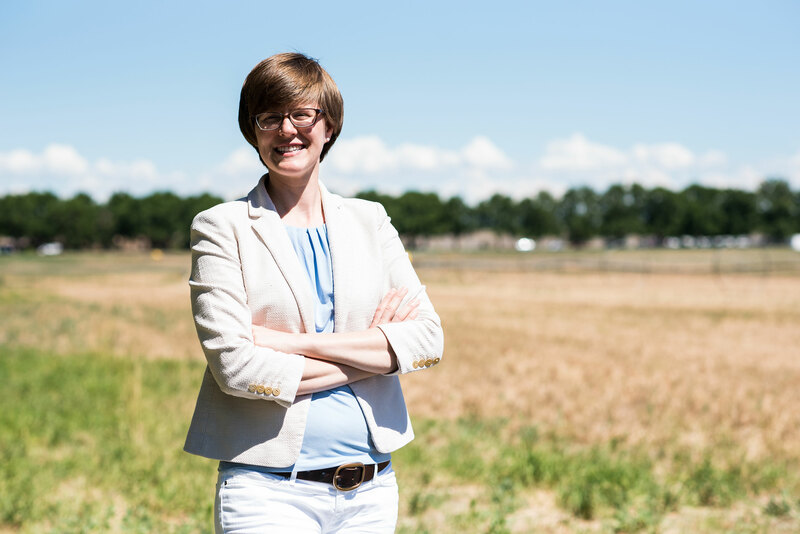 Susannah Burrows will study the effects of particles emitted from soil, the sea and other sources. Manish Shrivastava will draw on the resources of EMSL to analyze the complex chemistry that takes place with nanoparticles and within clouds. 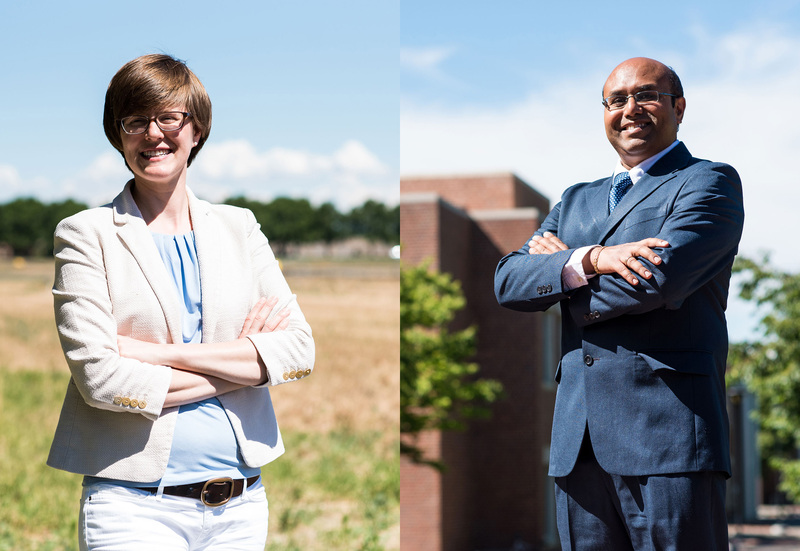 RICHLAND, Wash. — Susannah Burrows and Manish Shrivastava of the Department of Energy's Pacific Northwest National Laboratory have been selected to receive 2018 Early Career Research Program awards from the U.S. Department of Energy. The two are among 84 recipients nationwide — including 30 at national laboratories — to receive the award this year to further their research. Both are scientists in the Earth and Biological Sciences Directorate who study the natural forces that shape our planet. In separate studies, the two will look at the enormous impact of tiny particles set adrift from multiple sources — sea salt flung into the air, gases sent aloft from wildfires, byproducts of combustion and particles produced naturally by plants. Burrows is looking at the effect that particles from agriculture and sea spray exert on the earth system. The particles might originate when a farmer tills the land or when bubbles generated by ocean waves burst at the surface, sending salt, tiny bits of dead microbes and other substances into the air. Burrows will study where the particles come from and how they affect freezing of cloud droplets. The process can influence how long clouds persist and how much sunlight they reflect, as well as help determine when and how much it rains or snows. Shrivastava will study how gases emitted from plants and trees, including those released during wildfires, chemically react to form nanoparticles within cloud droplets and how this chemistry changes as those clouds form and evaporate. 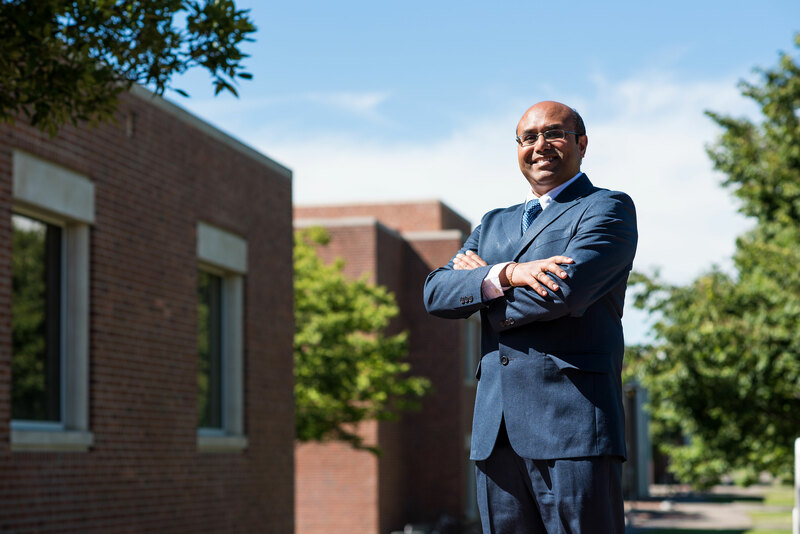 Through his training as a mechanical engineer, Shrivastava brings an engineering approach to the incredibly complex chemistry that occurs within nanoparticles and clouds, where thousands of different chemicals play a role in changing clouds and sunlight. The studies address gaps in our understanding of the earth system by taking advantage of large amounts of data already created by scientists around the globe. The projects will draw on data and resources from two DOE Office of Science user facilities — ARM, Atmospheric Radiation Measurement, and EMSL, the Environmental Molecular Sciences Laboratory. While their efforts are separate, both scientists will analyze atmospheric measurements obtained from around the world through ARM studies. For instance, Shrivastava will analyze measurements of nanoparticles taken by aircraft within clouds over the Amazon region and include newly discovered chemistry processes to improve atmospheric models. Burrows will analyze measurements collected aboard ships and at coastal sites around the world and will collect new measurements at the ARM atmospheric observatory on the central Great Plains in Oklahoma. Both will draw on the equipment and expertise of scientists at EMSL to help analyze those measurements. Each PNNL scientist will receive $2.5 million over the next five years to further his or her research. "Supporting talented researchers early in their career is key to building and maintaining a skilled and effective scientific workforce for the nation. By investing in the next generation of scientific researchers, we are supporting lifelong discovery science to fuel the nation's innovation system," said Secretary of Energy Rick Perry. "We are proud of the accomplishments these young scientists have already made, and look forward to following their achievements in years to come." The Early Career Research Program, now in its ninth year, is managed by DOE's Office of Science and awards research grants to young scientists and engineers at U.S. universities and national laboratories. The grants are designed to bolster the nation's scientific workforce by providing support to exceptional researchers during the crucial early years of their careers. This year's awards bring to 16 the number won by PNNL staff since the program's inception in 2010. More information on the program can be found at DOE's Early Career Research Program website.